ANDORRA: Minimum tobacco tariff to "limit traffic"
The Andorran Parliament adopted in the night of Friday 15 to Saturday 16 February, a text setting a minimum rate of tobacco to fight against cigarette smuggling especially to France. A GOOD NEW FOR BURALISTS BUT NOT FOR SMOKERS! A law that should allow French and border tobacco debtors to breathe a little. 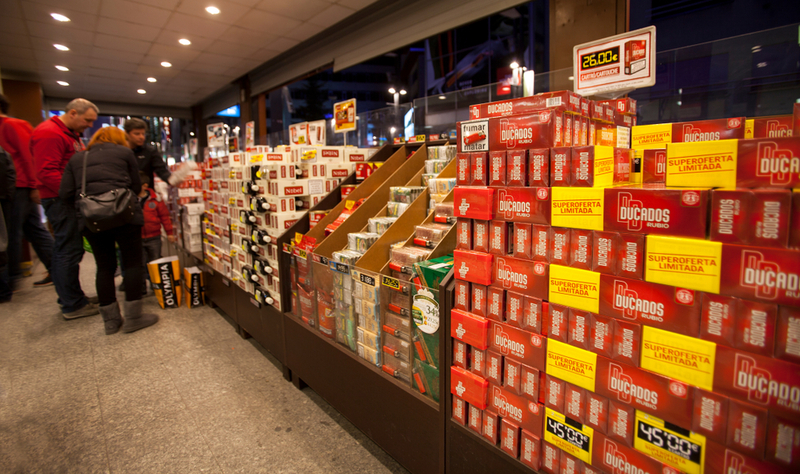 The Andorran Parliament passed this weekend a law setting a minimum price for tobacco. New legislation that should help fight against cigarette smuggling, particularly to France. According to the government spokesman and Minister of Finance Jordi Cinca, this new law must make it possible to preserve competitiveness without relaunching the aggressive prices that led to the increase in smuggling, mainly in Pas de la Casa", He told AFP. The Andorran Government wishes to respect its commitment to limit the price differential of tobacco compared to those practiced in the European Union. Thus, this minimum rate can not be lower by more than 35% to the lowest French or Spanish price, the Andorran deputies decided. Currently, lightly taxed cigarettes are approximately half as expensive in Andorra as in France. In addition degressive rates are charged for purchases in large quantities. A very competitive practice for French tobacco shops in particular.